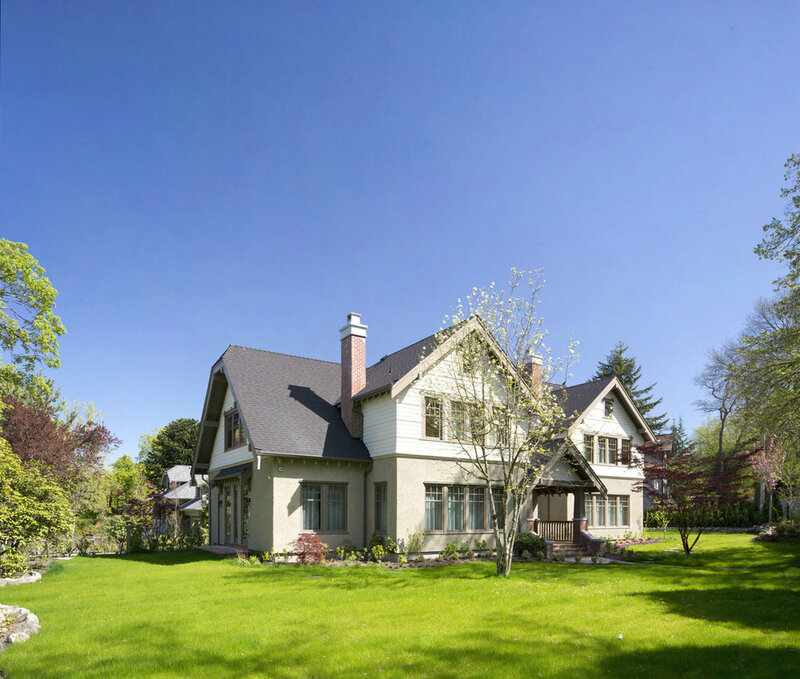 Surrounded by established trees, the First Shaughnessy corner lot is a private oasis. The vast property is pocketed by carefully selected plants and trees, with red bricks leading to the mansion’s entry. 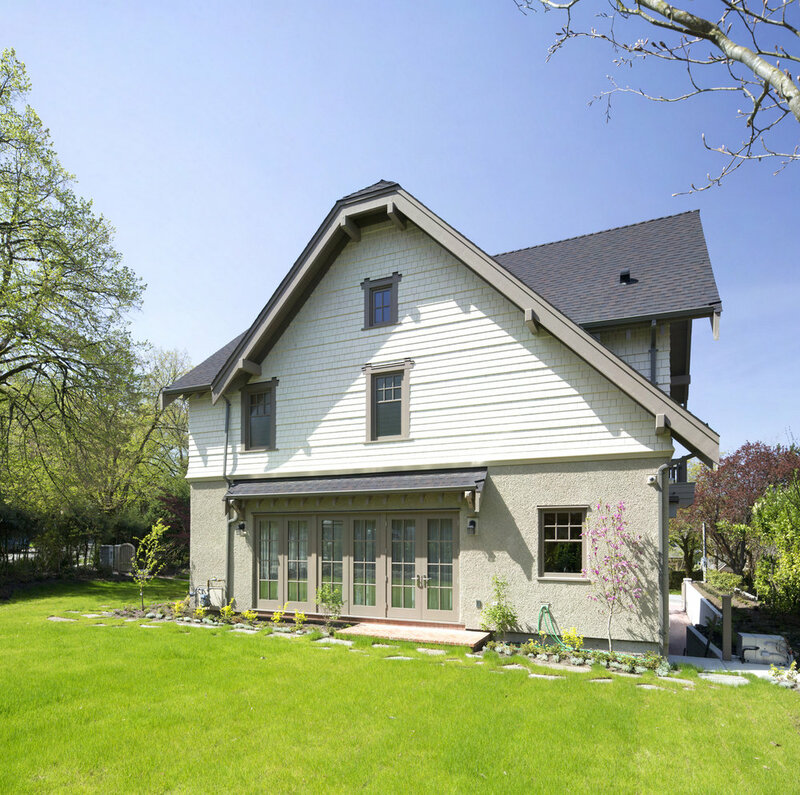 The exterior’s natural colours mimic the original 1912 pre-renovation and addition home. Cedar Grove lacked the modern necessities required by its owners and contained harmful out-of-date items like asbestos and knob and tube wiring. They wanted to retain the heritage character of the building while ensuring it is large enough to house their children and their families. The retained house was raised, excavated further to allow for 10ft basement ceilings, and set on a new foundation. Common rooflines were kept and others were hand framed to meet the new design.